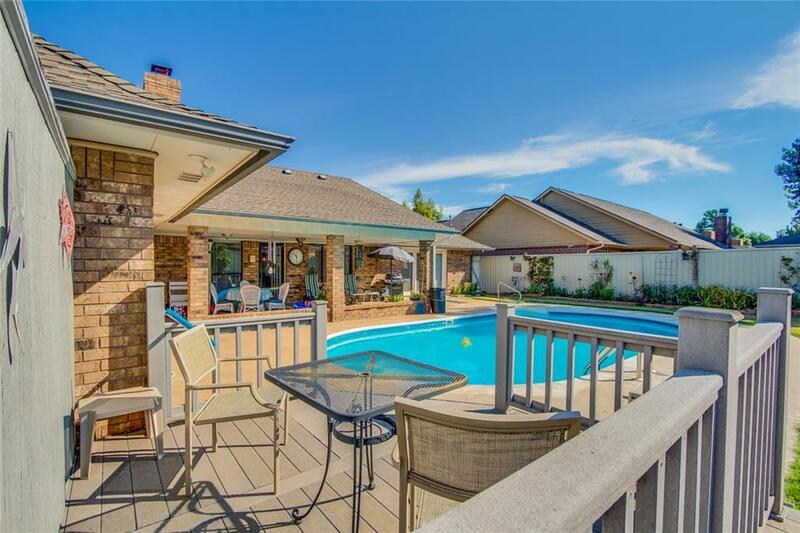 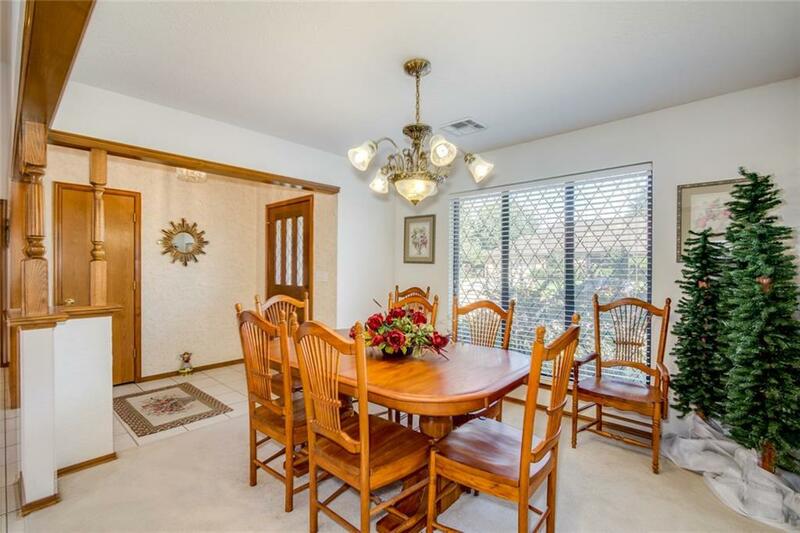 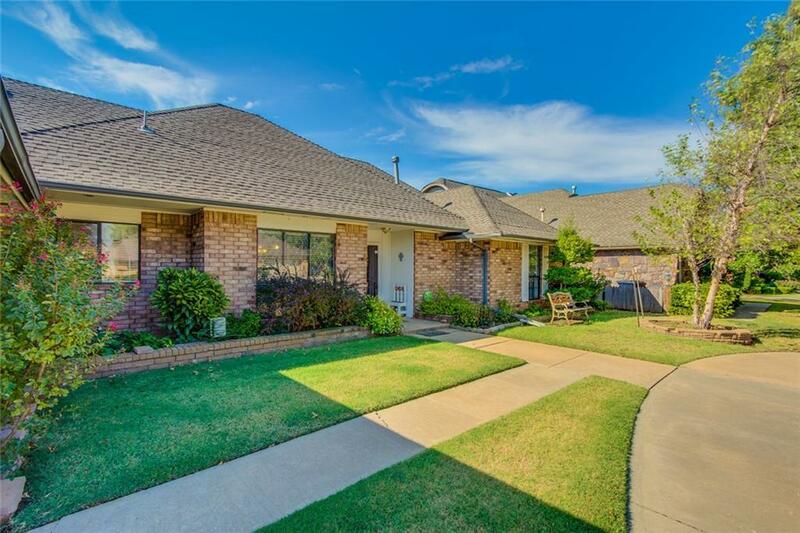 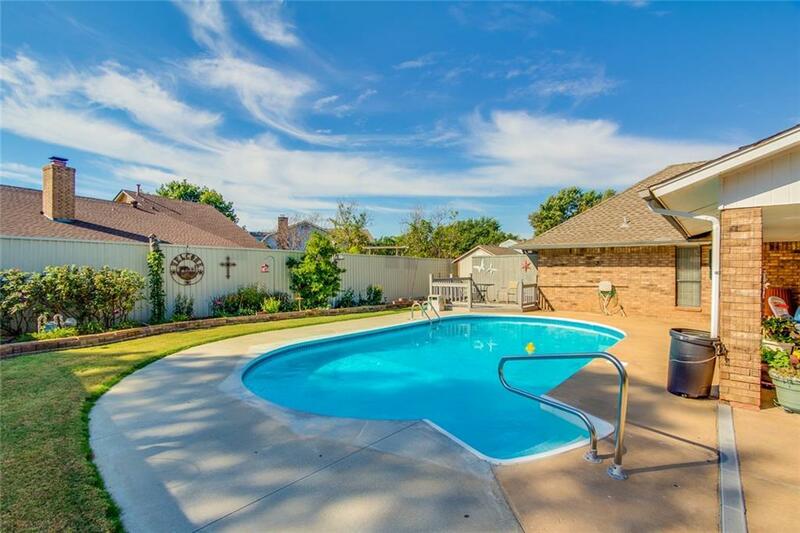 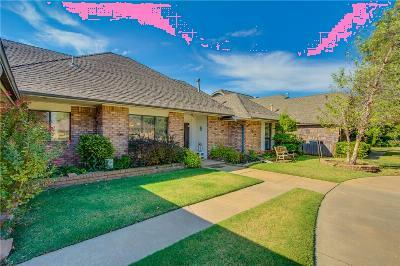 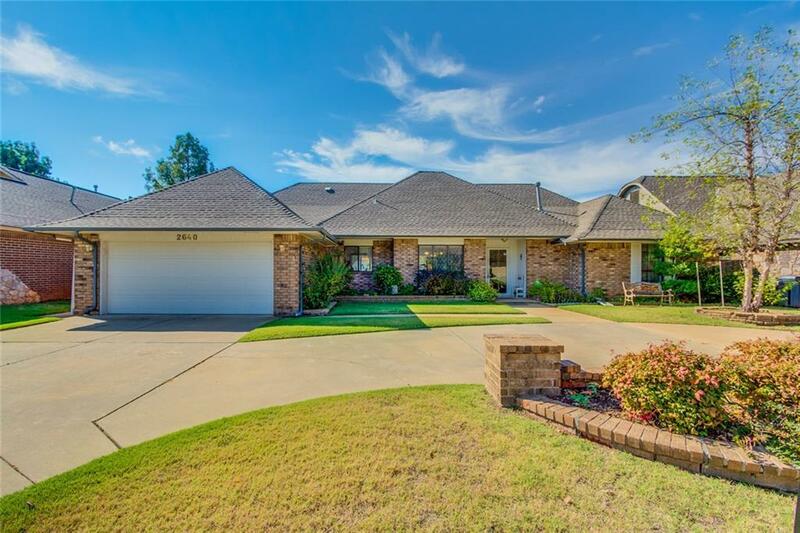 Beautiful spacious home in SW OKC Lakeridge addition, 3 Bedroom 2 1/2 bath two living areas separate kitchen and dining area plus a formal dining room. 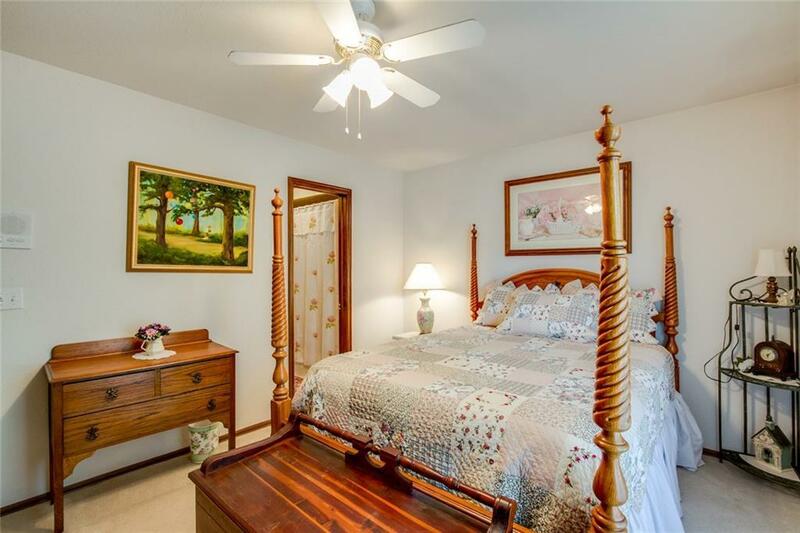 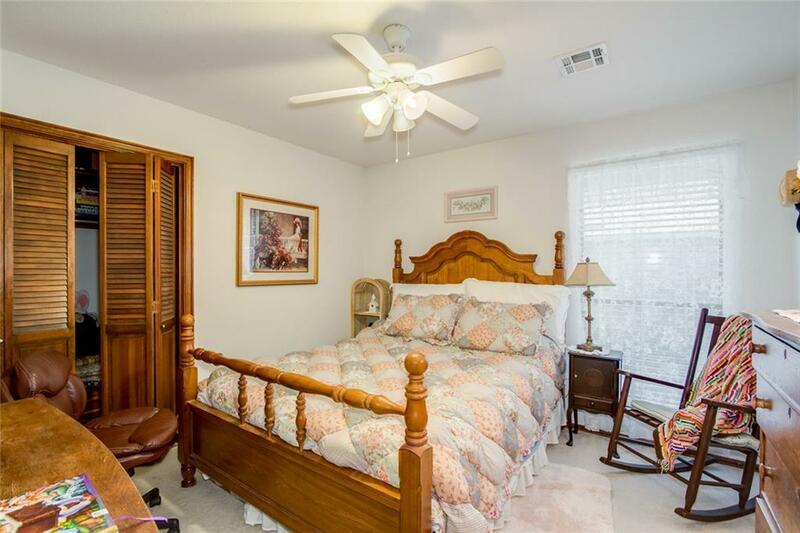 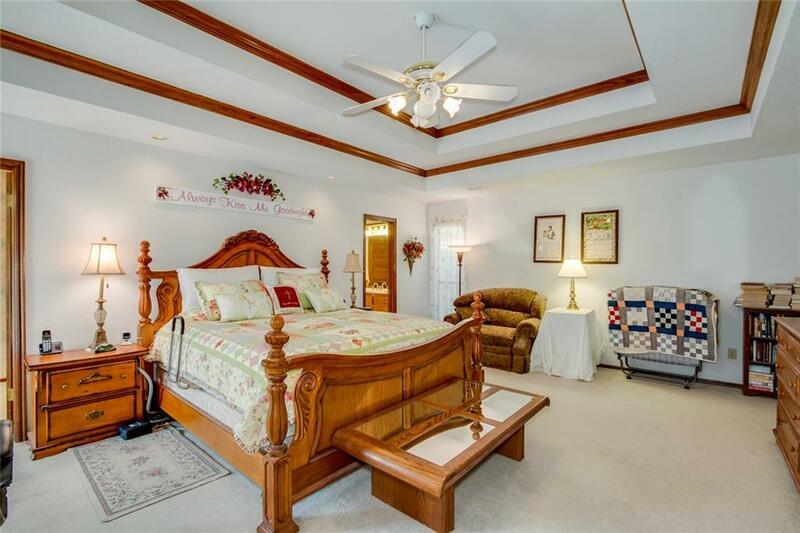 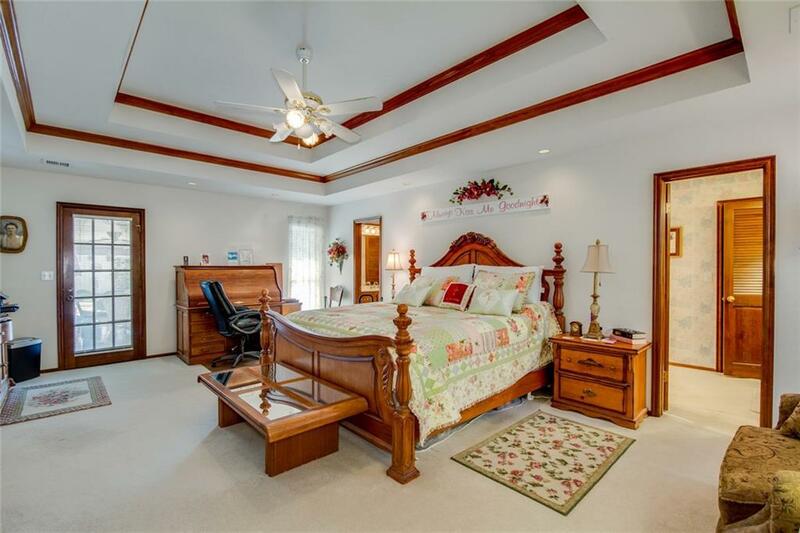 Large master bedroom with a very room master bath, has large tub and separate shower. 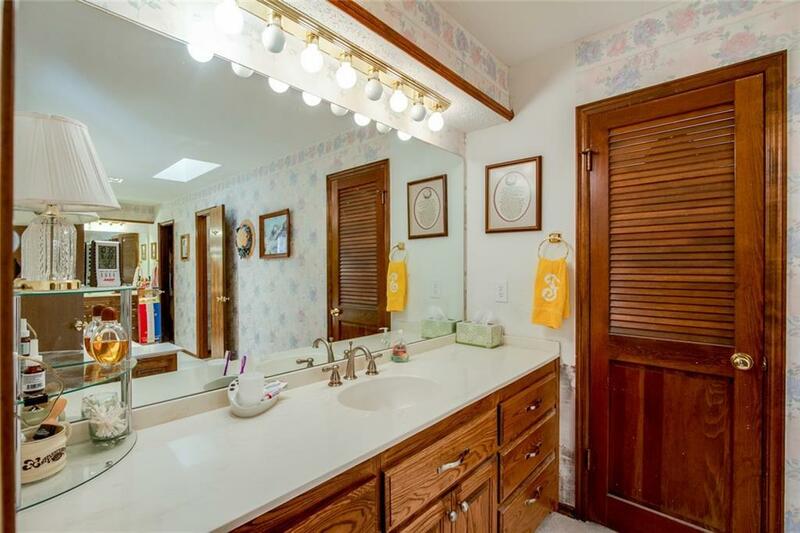 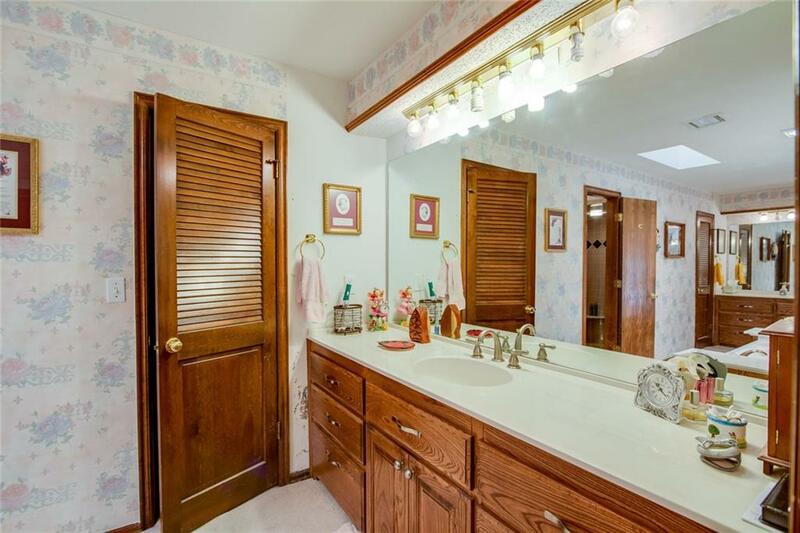 Two private sink areas and two walk in closets. 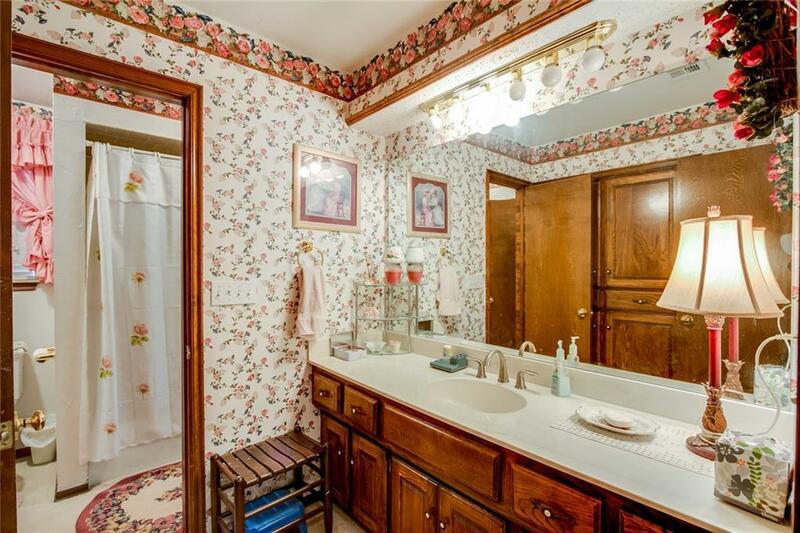 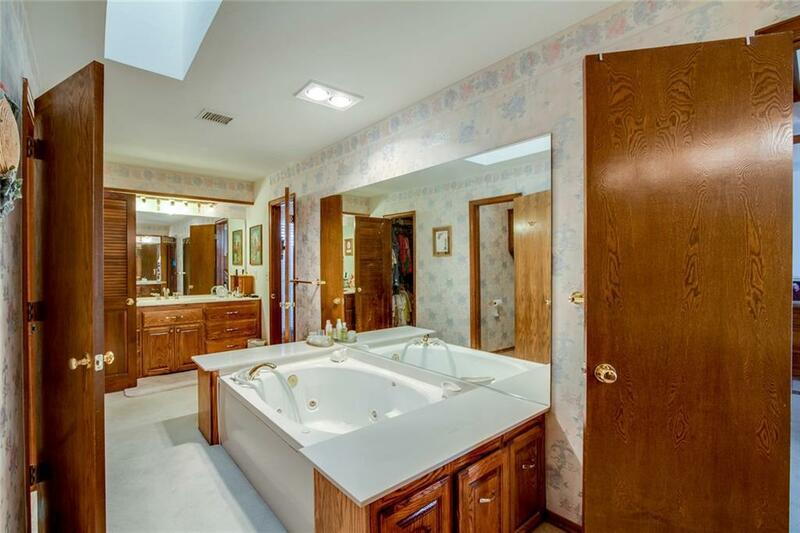 Hall bath features a jack and Jill bathroom. 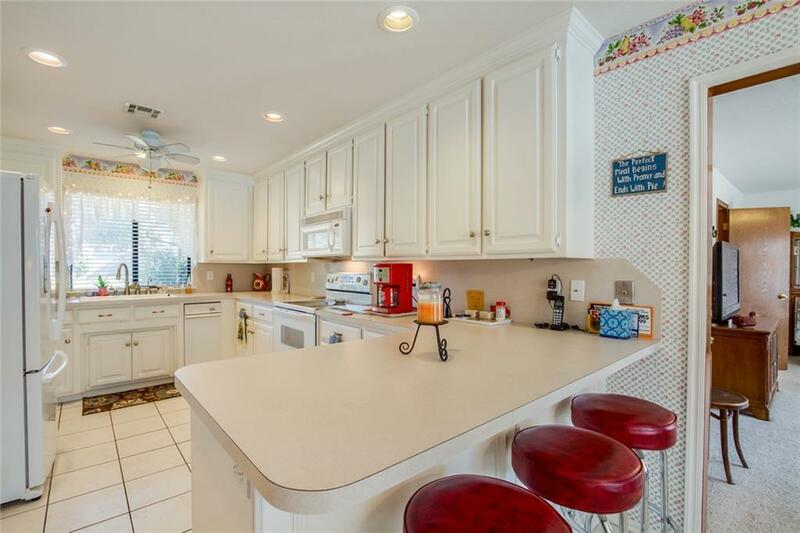 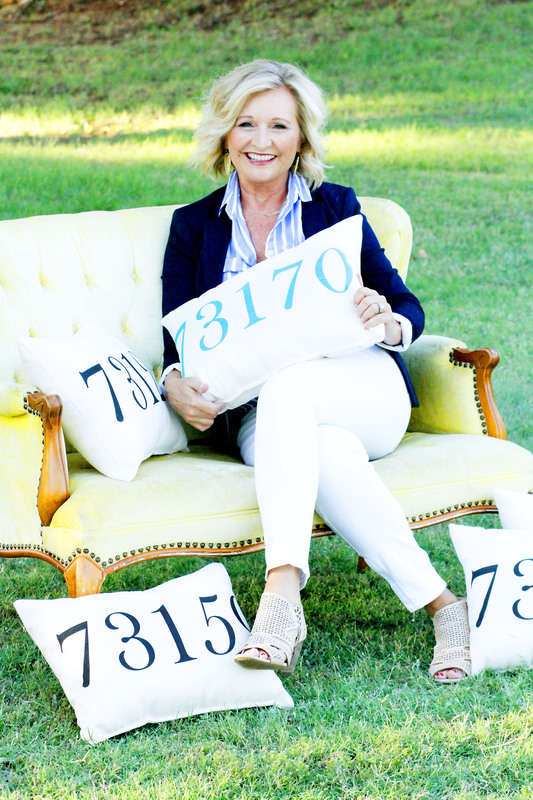 This home has many extras! 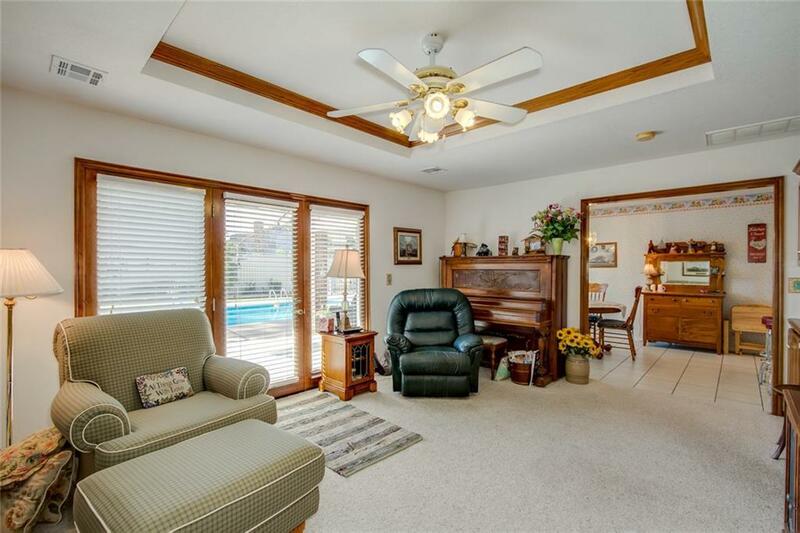 Garage floor storm shelter, in-ground swimming pool, vinyl lining replaced just three years ago, large covered patio, out building and small deck lounging area. 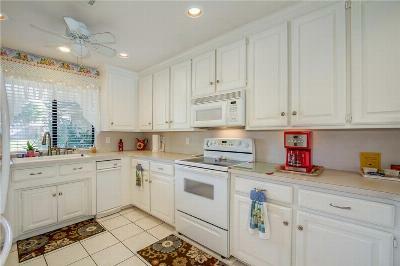 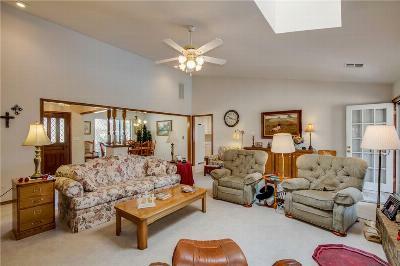 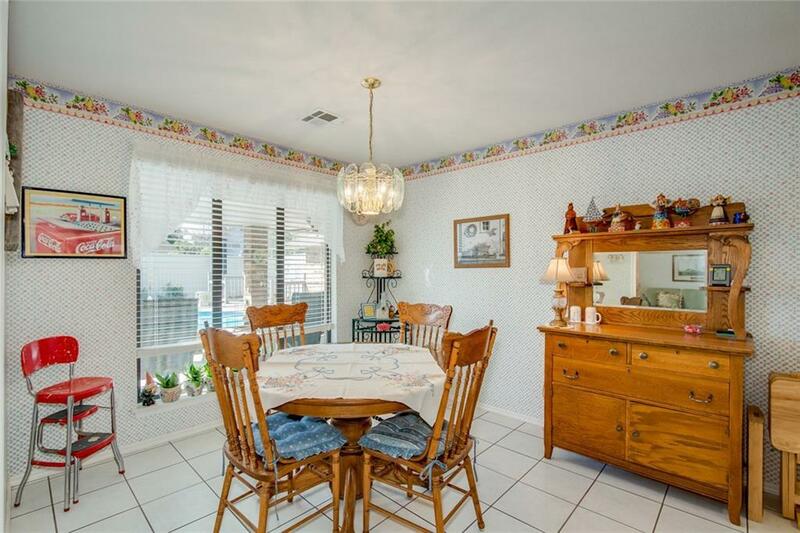 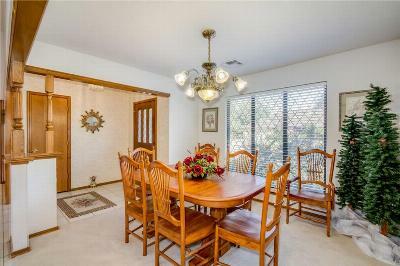 This home has been very well cared for, very clean and spacious, lots of storage areas. 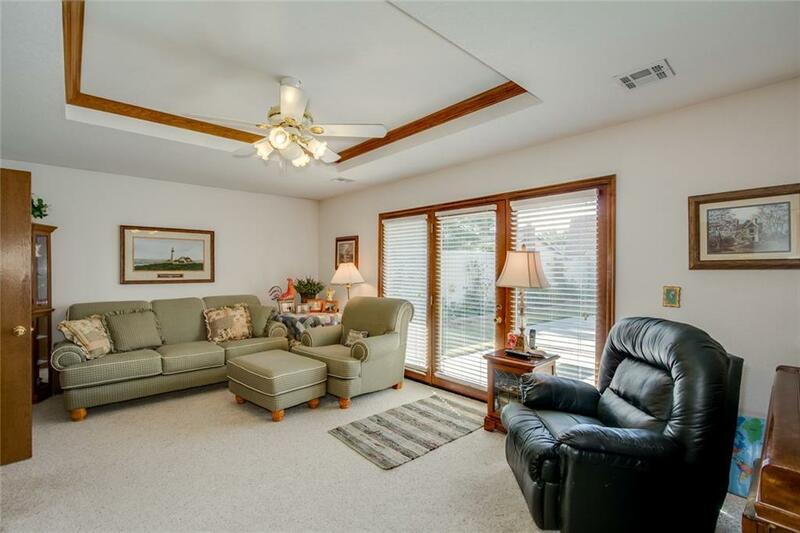 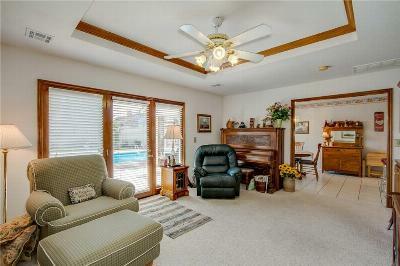 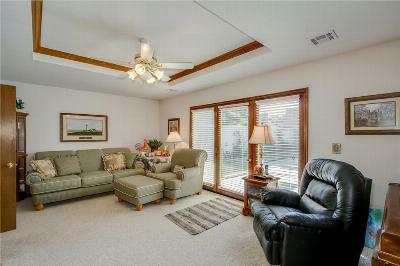 The second living area is large and has double doors with a great view of the pool, also has a half bath. 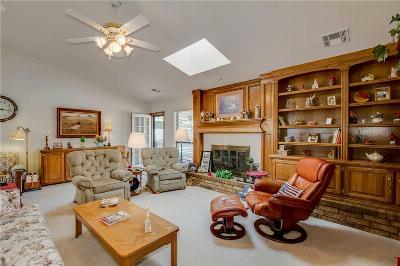 Wonderful solid oak woodwork and a wonderful brick fireplace.